Why does the auto responder have Jot form branding.... I purchased your product. Can this be removed. 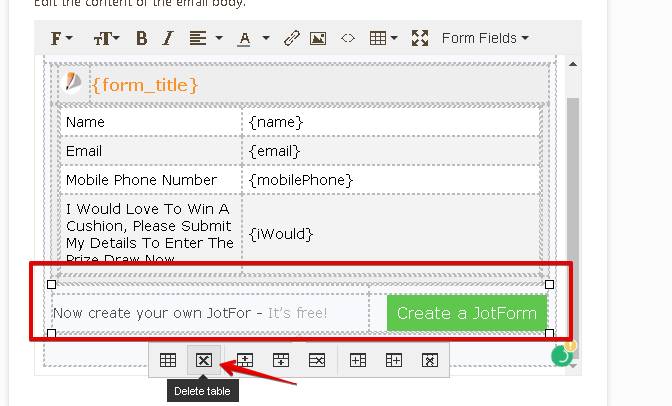 You can edit your autoresponder/email notification to remove the JotForm Branding. In the Email content section, click on the table that contents the Jotform Branding message and press Delete table option. Hope this information helps. Do let us should you need further assistance.